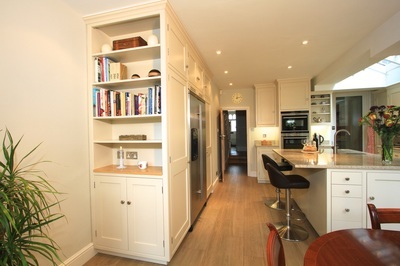 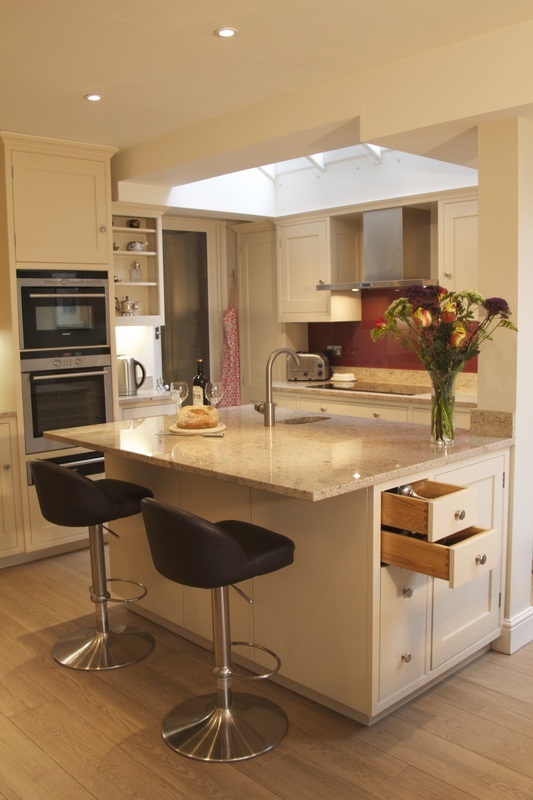 This traditional kitchen enjoys a large island with shaker style cabinets underneath to make use of storage space. The cabinets reach full ceiling height and traditional details are maintained by adding open shelving, cornicing and traditional draw knobs. 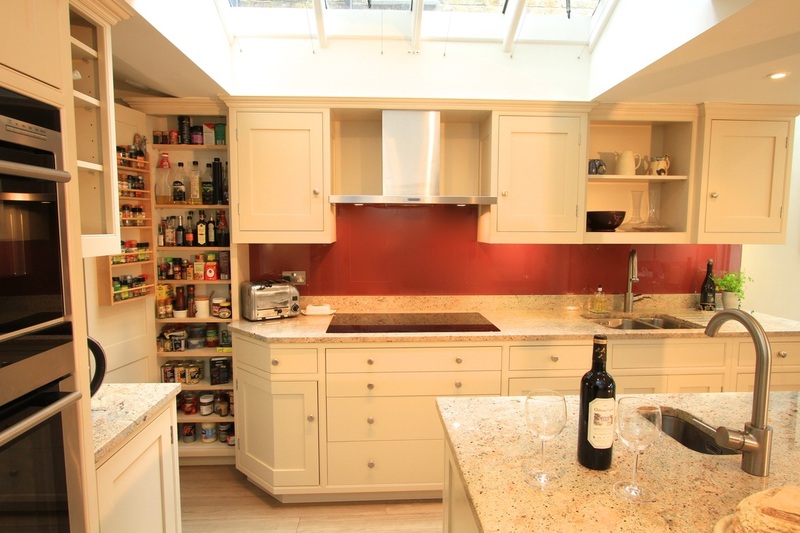 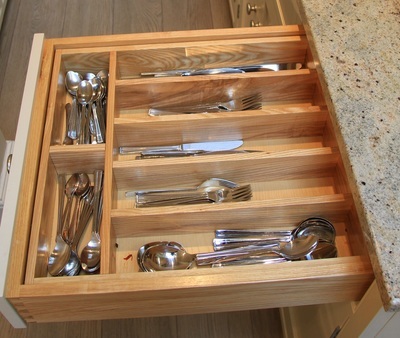 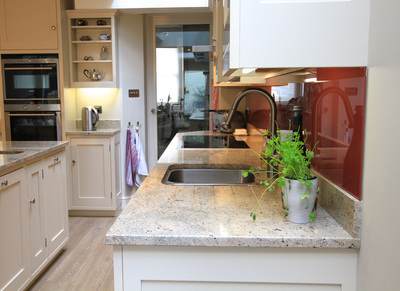 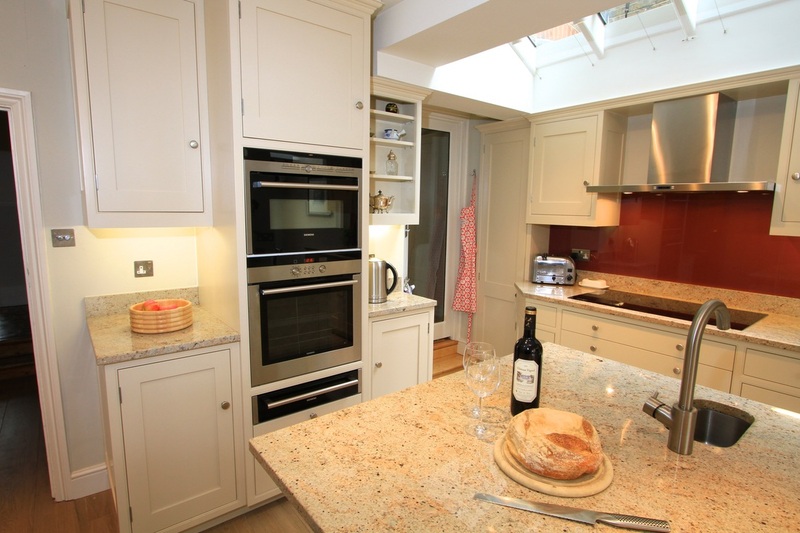 "We are very happy with our new kitchen and it gets lots of compliments from visitors. 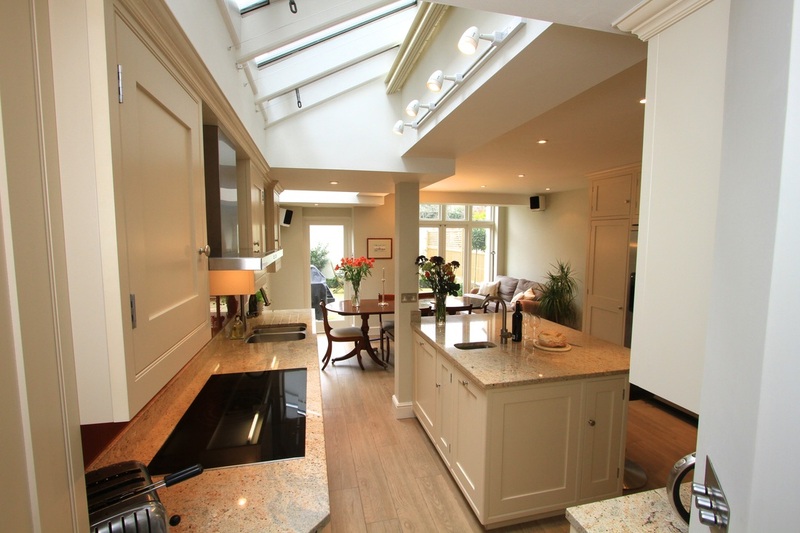 Ian was exceptionally helpful and his visits to discuss the design were invaluable. 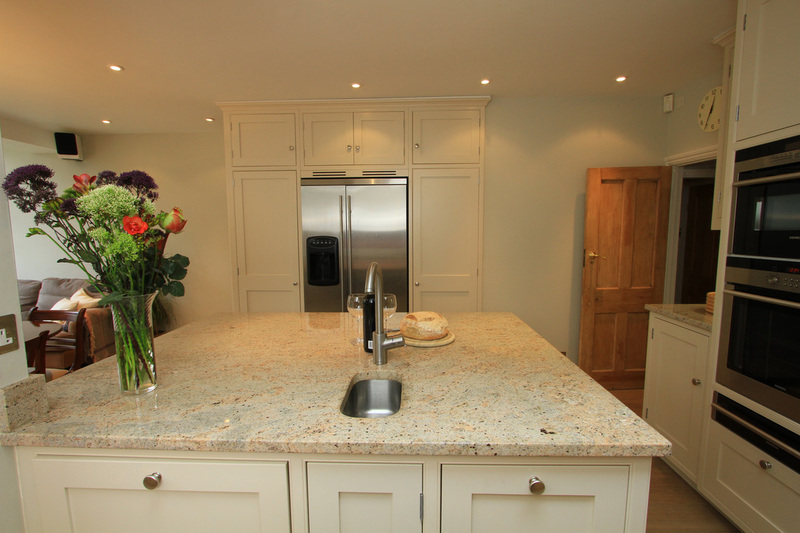 It made the whole process easier for us to have appliances included and Jacqui guided us well with our choices."